I would like to thank all participants of the 5th International Conference on Personal Learning Environments 2014 for turning our little event into a very lively, engaging, and conversational encounter. Without your openness for playing with alternative session formats and the purposeful blending of programmed and more informal forms of engagement this type of conference would simply not be possible. I would also like to thank again my fantastic organisational team in Tallinn – Dr. Kairit Tammets, Dr. Terje Väljataga, and Priit Tammets – who helped in so many ways to turn the overall event into a rather pleasant experience for all of us. The Tallinn Team will try to slow down and rest a bit in the coming days before we rejoin and start curating some of the digital traces that were produced during and around last week. I hope you all took something interesting – or even inspiring -with you from Tallinn! We got a few questions regarding the format of the paper sessions. So, let me try to elaborate a bit on that topic before we finally come together in Tallinn. What we mean by that is that during the actual conference event we really want to use our written products only as a sort of backdrop. So, instead of trying to “cover” your entire paper in any comprehensive way, we would expect you to provide some conversational triggers or hooks that engage other participants and that invite controversial exchanges. We do not expect that we will be able to treat all topics and questions within the allocated sessions alone. The overall programme is designed to allow for various opportunities to carry on with conversations throughout the entire conference. So, relax… and treat the “paper sessions” mainly as conversation starters. What problem/challenge/question does your contribution address? What are your main insights? What are the limitations/weaknesses of your contribution? What would you like to discuss/explore with other participants? You can use whatever means you would like for getting these aspects across. Just be prepared to do this in a very condensed manner. We have up to 4 contributions in each paper session. So, please shoot for around 5 minutes in “presentation” mode, ending with a clear statement regarding question 4 (what you would like to discuss or explore with other participants)… and leave the rest of the time we have together for an actual exchange of ideas. We are really looking forward to welcoming you all in Tallinn! Heidrun Allert holds the chair of Media Education & Educational Computer Sciences at the University of Kiel, Germany. On Thursday, July 17th we will have our conference dinner to keep conversations going. We have reserved a rather funky space at Maru Kohvik. Maru Kohvik is located in the Lennusadam complex – a former Seaplane harbour that now hosts the stunning Maritime Museum. The Museum and Maru Kohvik are right in the old hangar buildings that had been initially constructed as part of the naval fortress of Peter the Great in 1916-1917. Food will follow a Nordic-inspired theme. We will order and pay for our drinks individually at the bar. We need to let the restaurant know how many folks actually want to participate. Please, put your name on this Doodle Poll to pre-book your tickets no later than July 9th! On July 16th we want to meet for an informal, pre-conference dinner to get the conversations started. We have reserved a rather nice space at “Lendav Taldrik” – an Indian Restaurant that has recently opened within the Creative Hub at Telliskivi 60a. Additional drinks will be ordered and paid individually at the bar. We need to let the restaurant know how many folks want to participate. Read the full post on the Pontydysgu Weblog. 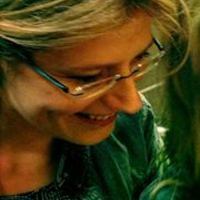 Dr. Gemma Tur Ferrer from the School of Education of the University of the Balearic Islands, Spain, has recently launched her new personal website titled UNlearning & UNteaching. In her second post Gemma shares how much her work has been inspired by taking part in earlier editions of the PLE conference. Thanks, Gemma… for this personal account and for supporting the ongoing discourse around PLEs with your contributions. The name of my new site is especially dedicated to the PLE people … When I started my research life at University I happily attended the first PLE Conference. I didn’t know it was the UNconference with UNkeynoters. I just thought that the PLE UNstyle was the style… I learned so much and felt so at home that I felt I could manage in what was for me a new world. I learned there that teaching and learning with technology means giving the power to the learner; that technologically-based teaching methodologies have to be student-centred and aimed at self-regulated learning or it is not worth using ICT. I learned that the PLE was a pedagogical approach and that its research is devoted to understanding how to transform the learning process with technology. And it has changed the way I understand learning and teaching now in the emergent new educational contexts with technology. Reading and listening to scholars in educational technology at the PLE Conference means learning about relevant social and educational research. Therefore, there was no other option for me but to dedicate my site to the PLE Conference… UNlearning and UNteaching for me is the only way to carry out research related to transformational educational practices with ICT. And this is something, which along with the PLE people, I will work hard to achieve. We sincerely hope that this years edition of #PLEConf provides more experiences of this kind. 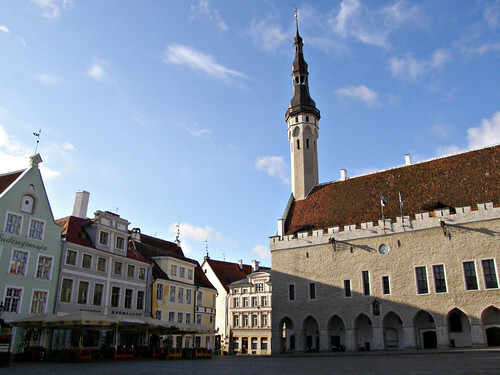 Come and join us in beautiful Tallinn in July for some great (un)conferencing on Personal Learning Environments… and beyond. 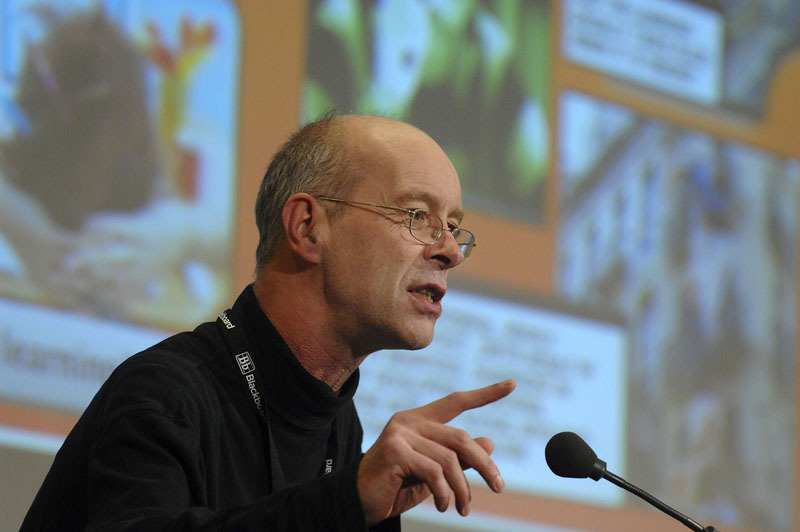 I am very happy to announce that Prof. Aaro Toomela has kindly agreed to challenge us with an (un)keynote titled “Your environment is not my environment”. Aaro will focus on the problem that we don’t seem to have a clear understanding of what we mean by “environment”. After presenting the problem and a proposal for a solution, Aaro will discuss with us whether we agree that the problem indeed exists and whether his proposal makes any sense. Aaro Toomela is a Professor of Cultural Psychology and Neuropsychology at Tallinn University, Estonia. He has published widely. Aaro worked as a child neurologist before he moved into the field of Psychology. He currently works on a general theory of mind. Stay tuned for more programme previews in the coming days! We still hold a number of hotel rooms in two hotels that have agreements in place with Tallinn University. With the holiday season getting closer the hotel folks are getting a little more antsy. So, we have been told that Park Central is only willing to hold rooms until June 17th and Nordic Hotel Forum until June 19. More details about these hotel options and how to book them can be found in the “Where to stay” section. In case you are looking for alternative accommodation there is a wide selection available on platforms like booking.com or hotels.com. Also AirBnB lists a growing number of private accommodation in town. Life in a knowledge-based society puts specific requirements on thinking, working and learning. In order to to be able to meet these challenges we support and improve communication and thinking through technology. In this process we create technologies making our ability to think and communicate look restricted again. We are imperfect. We do not cope well. Every solution produces unforseen contingencies. How do humans distribute thinking and acting through technology? Which epistemic practices emerge? How does this influence our concept of PLE? How do we create, re-produce and change our PLEs in practices? How do we negotiate PLEs regarding those uncertain and emerging working and learning situations that are inherently socially entangled and mediated by technology? The workshop introduces the notion “assistive thinking” which was developed in the context of the multilateral project “Creating Knowledge through Design & Conceptual Innovation” co-funded by the European Union (project website: http://www.knowledge-through-design.uni-kiel.de ). The project aims to foster creative and critical thinking among students and professionals of various disciplines, enabling them to generate innovation and knowledge. Based on the educational model “Design as Inquiry” we see “Design” a general mode of inquiry that aims to gain insight by means of reflective intervention. This perspective is used as an underlying foundation for the exploration of technology and its means for personal/ social practices. 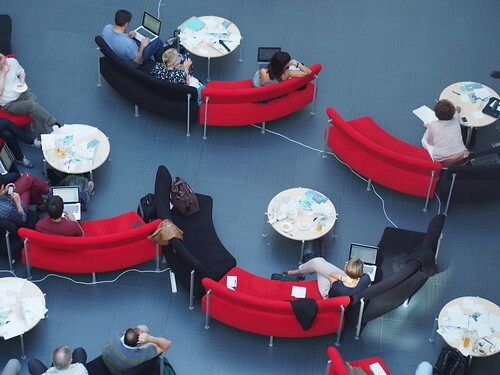 From this perspective, we claim that the design of a Personal Learning Environment (PLE) is an ongoing epistemic activity that is mutually entangled with materiality/ technology and the accompanying social interactions. The workshop aims to foster a conversation about “the role of exploring artifacts (resources/technology) in practices” and their affordances. Furthermore we want to discuss, if technical options of ubiquitary and hybrid computing are conceivable and preferable in society. What are personal and social implications? What options are socially accepted and adopted? How are opportunities explored, percieved and used? How does exploring and intervening in the world, negotiating meaning, decision making, and problem solving challenge our way we design our PLEs? In this sense, we will explore the constitutive entanglement of technology and human epistemological practices. Registration for PLEConf 2014 now open!